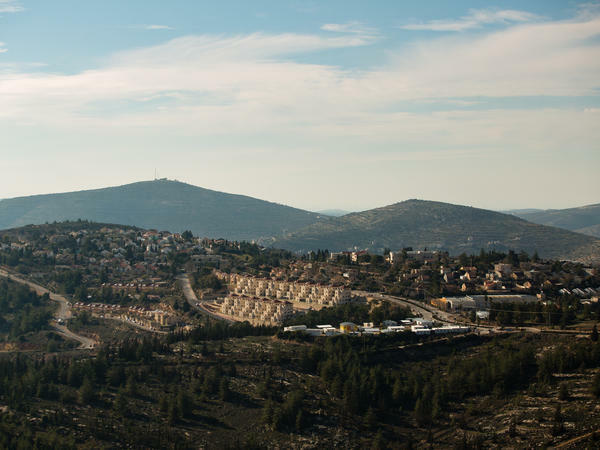 Some residents of the Israeli settlement Eli, shown here in 2016, have been renting out properties there using Airbnb. Property-renting company Airbnb says it plans to remove listings in Israeli settlements in the occupied West Bank. Israeli Tourism Minister Yariv Levin described it as a "disgraceful surrender," while senior Palestinian negotiator Saeb Erekat called it an "initial positive step." Broadly, settlements are viewed as an obstacle to peace by Palestinians and the international community, and the U.N. Human Rights Council and the U.N. Security Council have said settlements on land captured by Israel are illegal under international law. Airbnb said in a statement that its decision impacts about 200 Airbnb listings. It said it had previously allowed listings in Israeli settlements in the West Bank "because we believe that people-to-people travel has considerable value," adding that it had made the latest decision after weighing the issue over time and speaking to experts. "We concluded that we should remove listings in Israeli settlements in the occupied West Bank that are at the core of the dispute between Israelis and Palestinians," the company said. "We know that people will disagree with this decision and appreciate their perspective." As of Monday afternoon, listings within settlements still appear to be up on the site. The company told NPR's Daniel Estrin that it plans to remove them "in the days ahead." Levin has stated that the Ministry of Tourism is taking action to "limit the company's activity throughout the country." And Gilad Erdan, the minister of strategic affairs, is encouraging people affected by the new policy to file lawsuits against Airbnb. This comes after pressure from rights groups. Human Rights Watch says it has been urging Airbnb to leave the controversial region for two years. "In essence they are helping to broker rentals on land stolen from Palestinians, for which those Palestinians themselves ... are barred from entering," Omar Shakir, the Israel and Palestine director of Human Rights Watch, tells Estrin. The organization is preparing to release a report on the issue Tuesday, titled "Bed and Breakfast on Stolen Land." Airbnb made the announcement in a post titled "Listings in Disputed Regions." It did not specify any policy changes in other disputed areas but said that each situation should be evaluated with a "case-by-case approach." Israelis say they feel singled out, while there are other conflicts going on that haven't received as much international scrutiny. "The senior management of Airbnb will have to explain why they specifically, and uniquely, chose to implement this political and discriminatory decision in the case of citizens of the state of Israel," said Erdan. Eliana Passentin, an Israeli citizen who lives in the settlement of Eli in the West Bank, tells Estrin that she has rented her home several times to tourists. She criticized Airbnb's decision. "It doesn't make any sense whatsoever," said Passentin. "They've become political. ... Instead of building bridges they are building fences." Businesses with ties to Israeli settlements are coming under increasing scrutiny from the United Nations. A report earlier this year from the U.N. High Commissioner for Human Rights compiled a list of about 200 companies that do business with settlements; as Estrin reported at the time, the U.S. and Israel urged the U.N. not to publish that list. Israel has also criticized the decision by saying that it singles out Israel.